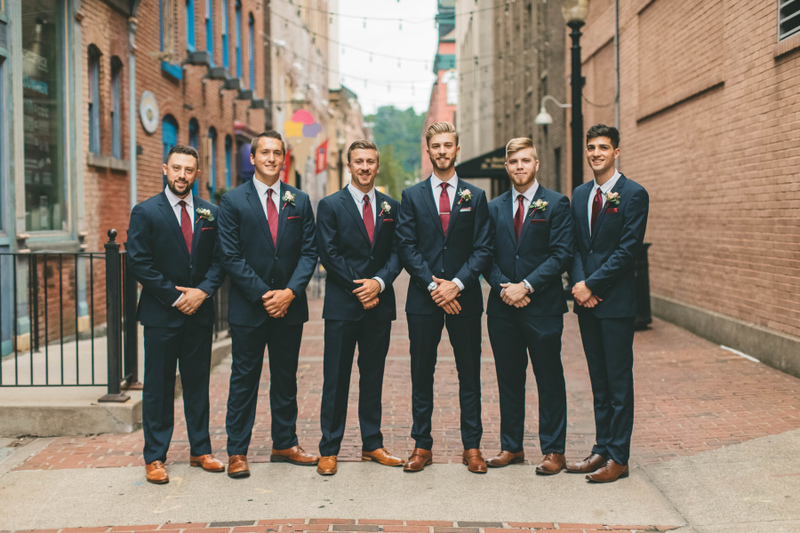 We loved Galin and Kelly’s timeless wedding look complete with navy blue suits for his groomsmen and burgundy bridesmaids dresses. The colors paired perfectly for their late summer wedding in Easton, Pennsylvania. 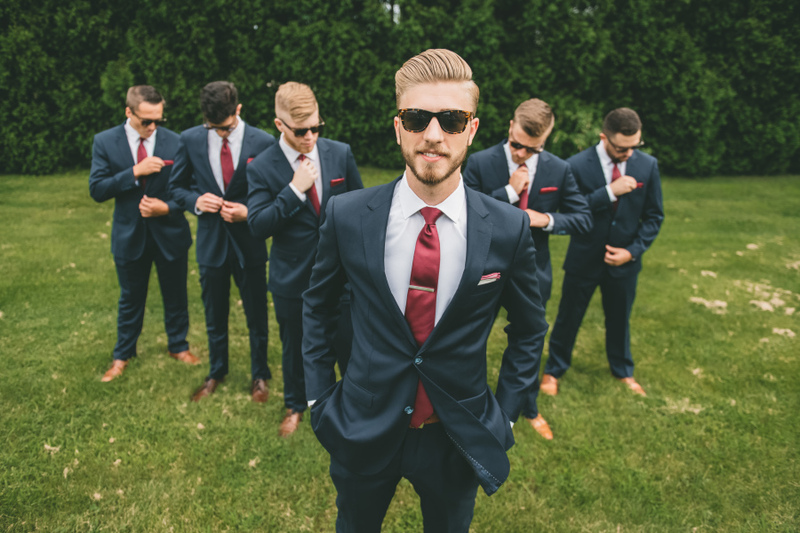 Galin chose to stand out from his groomsmen by opting for a white pocket square and stylish tie bar. Thanks for your amazing customer service and for suiting up our guys - they looked great! !